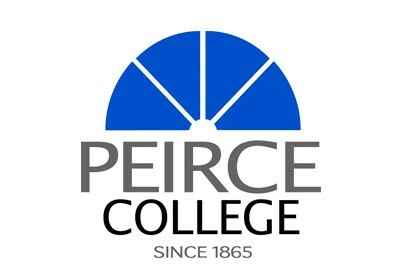 Peirce College | Graduate Philadelphia! For more than 150 years, Peirce College has equipped non-traditional students in the Philadelphia region and beyond with the practical skills and knowledge they need for successful careers. Our portfolio of career-based undergraduate and graduate degrees translates directly into real life opportunities and options. With both online and classroom instruction, our personalized, student-centric environment is designed to help busy adult students balance their responsibilities and earn their degree. Peirce offers one of the lowest private college tuition rates in Pennsylvania and as a non-profit school, every penny of your tuition is reinvested back into your education. The Walker Center for Academic Excellence facilitates numerous workshops each session, with topics including: time management, stress management, test taking, study skills and success strategies. Tutoring services are available during the day, evening or on Saturdays, both on campus and online. Student Financial Services provides one-on-one counseling to help student finance their education, identify scholarship and grant opportunities, and walk through the financial aid process. Career Development Services provides personalized guidance for career exploration, access, and success. One-on-one career counseling sessions help students craft resumes and cover letters, prepare for interviews, and identify opportunities for advancement. The Peirce Job Club and Peirce Link also provide students and alumni with direct access to internships and job opportunities. Undergraduate and graduate courses are delivered with the flexibility of Peirce Fit™, Peirce’s revolutionary new way to learn that allows students to choose from week-to-week whether to attend class online or on campus. Students are encouraged to choose the mode of delivery best suited for their needs. With Peirce Fit, students never have to miss a class and can stay on track for graduation.